Spend more time being creative. 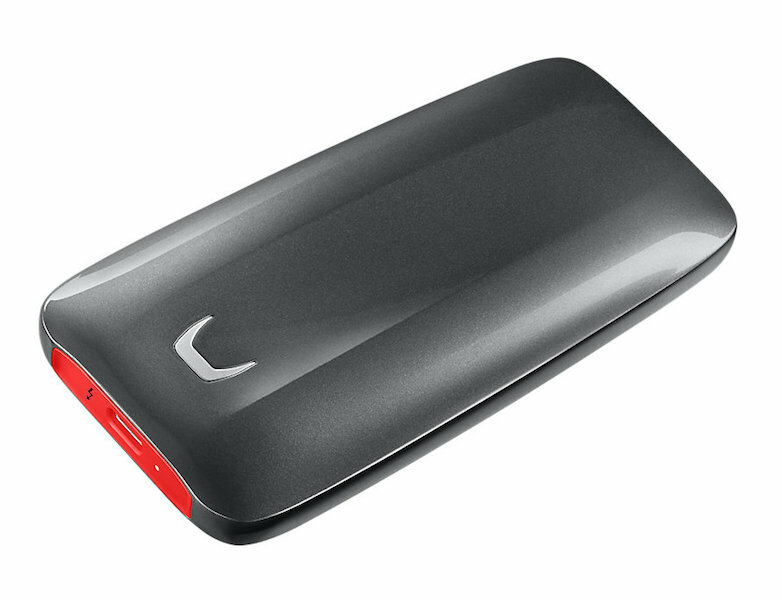 The X5’s read/write speeds of 2,800/2,100 MB/s are 5.2x/4.5x faster than a Portable SSD with SATA interface and 25.5x/20.9x faster than an external HDD. Transfer a 20GB 4K UHD video from your PC to the X5 in as little as 12 seconds. Secure your private information and intellectual property. The optional password protection based on AES 256-bit Encryption securely protects your data. For added peace of mind, a limited 3-year warranty is provided. Never worry about heat. The X5’s DTG (Dynamic Thermal Guard) technology helps maintain optimal performance and temperature, and a heat sink keeps surface temperature below 45°C (113°F). Its body has no moving parts and is reinforced with magnesium alloy that can even withstand a 6 ft. drop. Only compatible with Macs and Windows PCs with Thunderbolt™ 3 ports, Mac OS X Sierra, High Sierra (10.12 or higher) Windows 10 64bit RS 2 or higher. Not compatible with PCs with only USB interface. A Thunderbolt™3 port can be added to most PCs via an adapter by third-party manufacturers.